In my maternal family, not eating falls under the sin category. Very few experiences warrant food refusal. When someone says they can’t eat, they better have a good reason. A reason on which everyone can agree. Another trait common in my maternal family – stubbornness. Here’s what happens when the two collide. One Sunday afternoon in the late 1960’s, my great grandmother and her older daughter, my aunt Sophie, arrived at my maternal grandparents house in Cranston, RI for Sunday dinner. 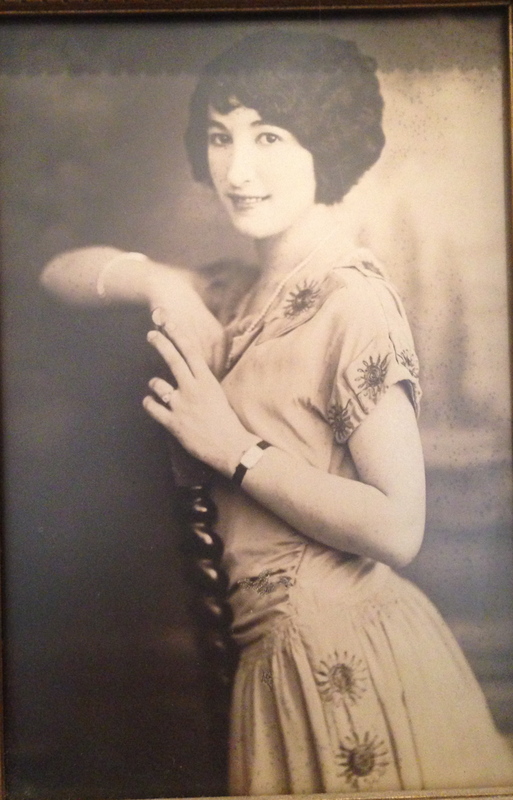 My great grandmother, Dickranhouie a.k.a Agnes, emigrated from Armenia to the US at 19 to find work. Back then it was an uncommon experience for a woman her age to travel alone to the US. She found work and eventually met and married her husband, my great grandfather, who died in the 1940’s. My sister and I called her Gramma. Tall for her generation, topped with thick white hair, Gramma always wore a skirt and jacket or a dress, a strand of pearls and earrings. During my lifetime, she lived with her older daughter, Sophie, a small practical woman with a quick smile and endless energy, and Sophie’s husband Eddie, until he passed away. Then mother and daughter lived together for decades in the neighboring town in a ranch house with a big front and back yard. Gramma could out bake, out cook and out knit anyone. She didn’t boast about her efforts or urge you to eat her food. You sought it out. Aside from her domestic talents, Gramma missed out on a career on stage. For example, if any young woman in our family wore a short skirt, as was the norm in the ‘60s and ‘70s, Gramma would exclaim out loud, “Ah-mort,” the Armenian word for shame and shake her head. On this particular Sunday, my aunt Sophie and Gramma warmly greeted my grandmother, Nana, in her sunny yellow kitchen. Sophie prominently placed her homemade apple pie on the kitchen counter. Gramma made her way to the couch in the living room where my parents, sister, grandfather and I sat. A moment later, Sophie and Nana joined us. As soon as Gramma sat down, my mother motioned for my sister or me to offer her the assorted appetizers of Muenster cheese, crackers and dry cured black olives laid out on the coffee table in front of the fireplace. “Who’s that?” asked my father. “I took care of her when she was a baby,” protested Gramma. My mother beckoned my sister or me to fetched her a glass of water. Gramma half-heartedly sipped from the glass, occasionally. Nana left the living room to put the final touches on dinner. A few minutes later, she summoned us into the dining room. The dark mahogany table brimmed with a roast, rice pilaf, broccoli and a salad. My father carved the roast. Nana watched what we put on our plates. “Sophie, that’s not enough pilaf!” scolded my Nana when she looked at her older sister’s plate. “Here have some more.” Piling it on to her plate. Sophie fended her off with her fork. Everyone’s plate held Nana’s cooking except one. Her mother’s. “Ma, you have to eat something,” said Nana pointing to the broccoli. “I can’t swallow,” Gramma touching her throat. “You could try. Maybe you’d like a little yogurt?” asked Nana exasperatedly as she started to get up. Gramma furiously waved her away with both hands creating a small draft. “If she doesn’t want to eat. Stop trying to make her!” argued Sophie emphatically. “How do you know she wouldn’t like a little yogurt?” snapped Nana. “That’s enough,” exclaimed my grandfather to my grandmother raising his hand in the air. “Sophie how’s Dolly?” asking about Sophie’s daughter. Gramma sat with her hands folded in her lap, sighing audibly. We continued eating while Nana unnervedly eyed her mother’s empty plate. After we had finished eating dinner, my mother, sister and I cleared the table and re-set it for dessert. Nana proudly brought out a plate of her homemade cookies and Sophie’s pie. My mom poured the coffee as my grandmother sliced the pie. Gramma shook her head vigorously. “Maybe I could drink a little coffee. Just a little,” whispered Gramma using her thumb and first finger to emphasize the size.